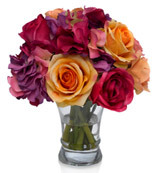 Our in-store flower markets offer a wide variety of fresh flower bouquets and potted plants to brighten your day. 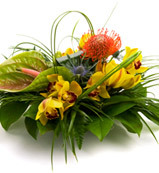 You will love the unique selection and stunning quality that we offer. Have a special event? 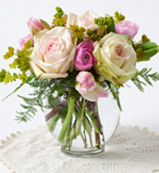 Several of our Ray's Flower Markets have FTD certified floral designers on staff. 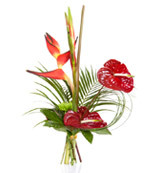 They can create captivating arrangements to enhance your special occasion. 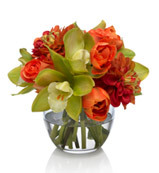 Each arrangement is made with the freshest blooms and greatest care. 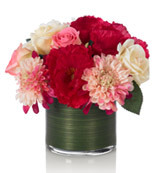 Place flowers in a vase filled with water containing flower food, or a couple drops of bleach and some sugar. It is important to follow the mixing directions on the flower food packet. Don't use more water than is specified on the packet. 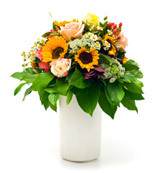 If the flower food solution becomes cloudy, replace it entirely with properly mixed flower food solution. Re-cut stems by removing one to two inches. 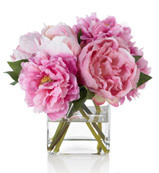 Keep flowers away from direct sunlight, heating or cooling vents, directly under ceiling fans, or on top of televisions or radiators. 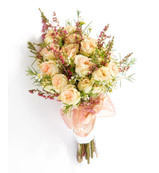 When selecting flowers, look for flowers with upright, firm petals and buds beginning to open. Yellowed or drooping leaves are signs of age. 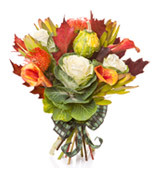 Also consider pet safety when selecting flowers or plants for your home.